Well, I can certainly say this has been an interesting week. I finally beat Tri Force Heroes. That means I have now completed every canonical Zelda installment thus far. Anyway, this weekend also proved to be quite interesting when it came to films with another notable directorial debut premiering among other things. Taking place in an alternate present-day Oakland, Sorry to Bother You tells the story of a man named Cassius “Cash” Green. He lives in his uncle’s garage with his girlfriend Detroit. In his desperate job search, the only thing he can find is a telemarketing position for the company RegalView with his friend Sal. His first attempts at selling products to customers end in failures before an older coworker, Langston, gives him one piece of advice: “Use your ‘white voice’”. Suddenly, taking his advice, Cash is particularly successful with his manager suggesting he will one day be promoted to the enigmatic “Power Caller” position. At the same time, the worker’s union he joined has decided to stage a strike. Cash must now decide between shooting for that highly sought-after “Power Caller” position and remaining loyal to his fellow coworkers. 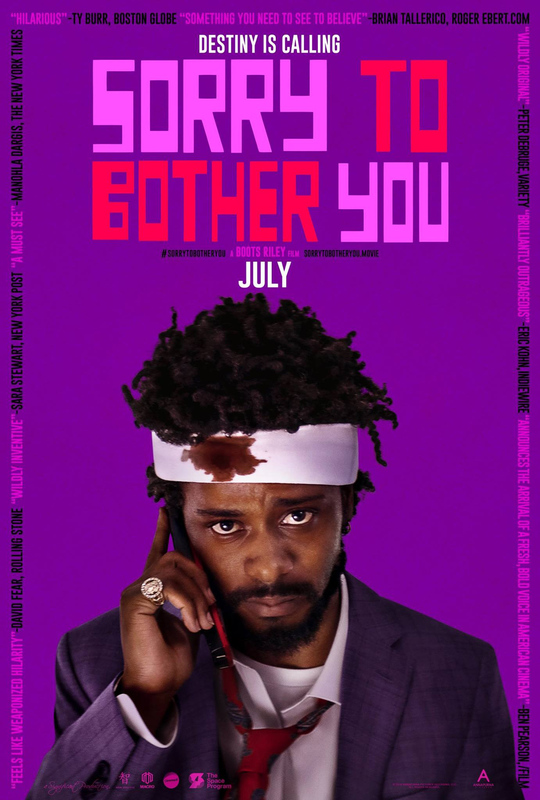 Sorry to Bother You marks the second directorial debut I’ve seen in recent memory after the divisive Hereditary. Specifically, it is the first film directed by Boots Riley, a rapper who has formed two groups in his career: The Coup and Street Sweeper Social Club. It casts Lakeith Stanfield, who notably portrayed Snoop Dogg in the excellent N.W.A. biopic Straight Outta Compton, as the protagonist. Longtime film fans are sure to recognize Langston – better known as Danny Glover. Though many good directors had to create a few middle-of-the-road films before they hit their stride, it would appear that, like Ari Aster, Boots Riley knocked it out of the park with his first swing. I’ve remarked in the past that the 2010s has been a particularly dire decade for science fiction. Though I’ve seen the era’s fatal flaw manifest in a number of ways, it boiled down to the sense of wonderment the genre used to possess gradually being replaced with a particularly naïve brand of cynicism. It seemed as though every other work of science fiction needed to be a cautionary tales. Science was often denounced to the extent that it bordered on anti-intellectualism at times. What’s worse is that these narratives rarely suggested any viable alternatives. As a natural consequence, I would argue it wasn’t a particularly great decade for satirical works either. Don’t get me wrong, these acclaimed creators often bring up valid points, but their main weakness is that their narratives usually don’t exist as stories in their own right; the message subsumes everything else. I find one of the most important skills for any critic to have is to truly scrutinize a work bearing a message they believe in and judge it based on the merits of being a good story rather than giving it a pass because they agree with the message. I say this because it’s a skill that critics of the 2010s seemed to universally lack. It is because of this that, much like Upgrade, I was going into Sorry to Bother You with something of a wary attitude. Funnily enough, my reaction toward Sorry to Bother You ended up being the exact opposite as the one I had for Upgrade. While I was completely on board with Upgrade up until the last act when it crashed and burned in one of the most spectacular ways I’ve ever seen any work do, it took until the last act before Sorry to Bother You really went anywhere interesting. Up until then, I felt it to be heavy-handed to parodic levels (look at the protagonist’s name, for one). In this world, 150,000,000 people are apparently entranced by a show entitled I Got the S#*@ Kicked Out of Me!, which entails the exact kind of insipid, lowest-common-denominator material that reality TV typically constitutes. Also, there’s a company named WorryFree offers a life free from having to pay bills while also offering free food and lodging, but at the cost of a lifetime contract of servitude, which was deemed legal and not a form of slavery. Furthermore, the group protesting these developments is called “The Left Eye”. Now, to backpedal a bit, I admit I never thought the film was outright bad, but there wasn’t anything that allowed it to stand out from a typical 2010s social satire. That aspect changes in the final act |when things go completely and utterly insane. It turns out the CEO of WorryFree, Steve Life, has commissioned a genetic modification program to transform the indentured servants into half-human, half-horse hybrids that possess superhuman strength and endurance in addition to being more complacent in their work. No part of that last sentence was made up; before receiving the long explanation, you’ll be convinced what Cash saw was a drug-induced hallucination. Then you’re taken aback a second time when you realize it wasn’t. Again, though its symbolism is on-the-nose to absurd degrees, I find myself oddly admiring this development. I feel the film is basically admitting how ridiculous its world is and decides to have fun with it. It’s as though the narrative is saying “Okay, we’ve said everything we need to say. Now, let’s go nuts!” It even inverts what Upgrade did by making you think everything has gone south at the last minute only to resolve everything in a much more satisfying manner seconds later|. It’s fascinating that both Hereditary and Sorry to Bother You are both 2018 directorial debuts because, though you would never think it, they are very similar to one another. Alternatively, it’s a lot like Annihilation in how it is undeniably a product of its era, but it manages to be good in spite of that. They take some time to go anywhere, but when they do, they grab your attention instantly. Simply on the merits of having more to offer than a message you’ve heard many, many times before, I’d say Sorry to Bother You is worth watching. If nothing else, I can say you won’t be bored watching this film. 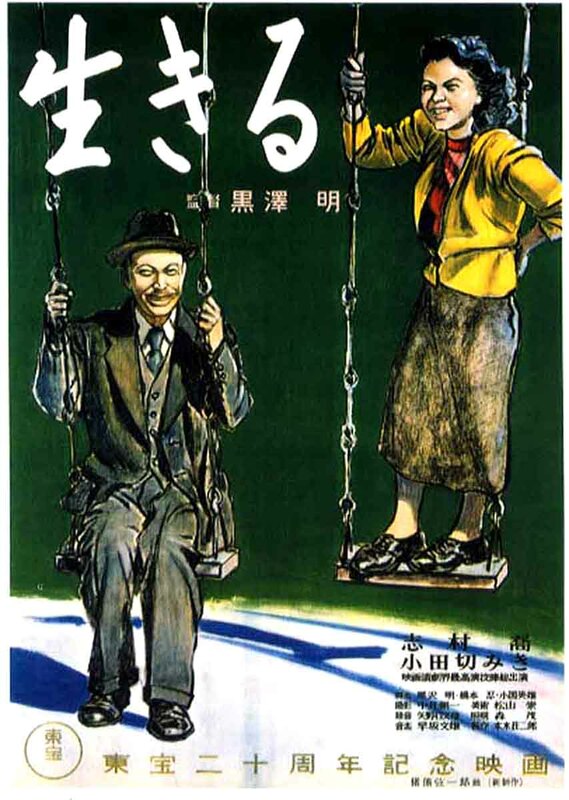 Ikiru is the story of a middle-aged man named Kanji Watanabe. He has worked the same tedious bureaucratic position for the past thirty years. His wife is dead and his son and daughter-in-law live with him, though they seem more concerned about his pension and their own future inheritance. Every day he bears witness to his coworkers’ inaction, giving citizens the runaround and generally accomplishing nothing. One day, concerned over his health, he visits a hospital – noted by his colleagues to be the first time he missed a day of work. To his horror, he is diagnosed stomach cancer, and has less than a year to live. He befriends a novelist shortly thereafter, who notes the great irony in how people “can never realize how beautiful life is until he is face to face with death”. From there, he vows to use his precious remaining days to find a true purpose in life. Ikiru may not be as well-known as Kurosawa’s other masterpieces, but if you’re in the right frame of mind to appreciate what it has to offer, I recommend watching it. The year is 1860 and the Tokugawa shogunate is in its final days. A rōnin, a samurai with no master, wanders the desolate Japanese countryside. Coming to a fork in the road, he throws a branch in the air and decides to travel in the direction to which it points. The road takes him to a farmhouse wherein he overhears an elderly couple lamenting that their son has given up laboring in favor of joining a gang of rogues who have descended upon a nearby town. When the stranger arrives there, he discovers the two has been divided by a violent gang war. The two warring factions are led by Ushitora and Seibei. Ushitora used to be Seibei’s right-hand man until the latter named his son, considered a useless youth, as his successor. In response, Ushitora rebelled, having Mayor Tazaemon in his pocket. The stranger, now knowing the full scope of the conflict says he intends to stay, believing the town would be better off with both sides eradicated. 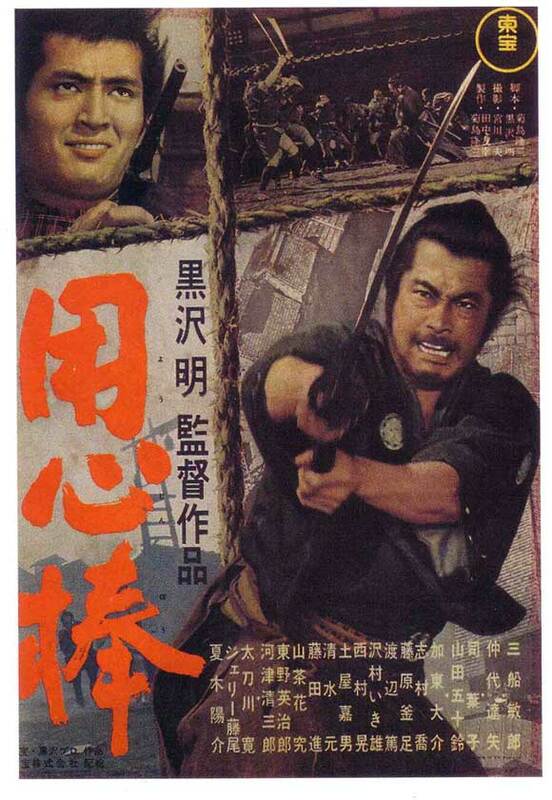 After watching Ikiru, I thought it appropriate follow it up with one of Kurosawa’s famous samurai films. What spurred me into watching it is that, like a fair chunk of his filmography, Yojimbo has proven to be particularly influential work. Most famously, it served as the main inspiration for the “Man with No Name” trilogy with its first installment, A Fistful of Dollars, being a direct remake of this film. One of the most obvious similarities is that neither protagonist has a name. When asked, the stranger notices a mulberry field in outside and claims it to be Kuwabatake Sanjuro – the given name being a tongue-in-cheek reference to his age. Anyone going into this film with a modern perspective thinking Yojimbo to be an action film is likely going to be taken aback when they actually see it. There are quite a few threats of violence throughout, but the actions scenes encompass only a small portion of the experience. In fact, the stranger initially takes a backseat to a lot of the conflict, instead choosing to manipulate both sides into destroying one another. He begins taking a more proactive role in seeing this goal through when an innocent family gets caught in the conflict’s crossfire. I particularly enjoyed this aspect because though the narrative goes out of its way to demonstrate that the stranger is a master swordsman, he’s still just one man, and he has to approach this situation carefully. All in all, Yojimbo is an exceptionally good film. It’s often considered one of Kurosawa’s best films, and I can certainly see why. Toshiro Mifune’s performance as the stranger is nothing short of legendary, paving the way for many more action heroes who solve problems with wits in addition to their proficiency in combat. This is an essential watch – especially for those who have never seen a samurai film from this era. Oooh I remember loving Yojimbo when I first saw it! Man I need to re-buy some Kurosawa stuff. It was indeed something else. The really cool thing is that the version I got came bundled with its sequel: Sanjuro. Oh wait. I think it’s Sanjuro I’m confusing it with 🤔 Gah! I can’t remember. It was so long ago. Did Sanjuro have the loud trumpet theme tune and a shot of Toshiro Mifune walking down a street from above? I’m pretty sure that was in Yojimbo. I haven’t seen Sanjuro yet, though. Youa re certainly right that Sorry to Bother You will not bore you. It takes such a left turn that I sat there going WTF for a good long while after the bathroom and informational video scene. Yeah, I was convinced it was either a dream or a drug-induced hallucination. But nope, that really was the turn the film was taking. I think modern satirists could learn from this – say what you need to say, but don’t be afraid to go nuts every now and again. Would you do a detailed analysis on films like you do with video games? I wonder what makes a good story. Maybe in the future when I’ve gotten more experience writing about them. As it is now, I don’t think I quite have the process pegged down. That’s actually the reason I haven’t applied my usual rating scale to these mini-reviews; with games I have some sure footing – not so much with films.